You may have heard – happy wife, happy life. Or perhaps, happy spouse, happy house. 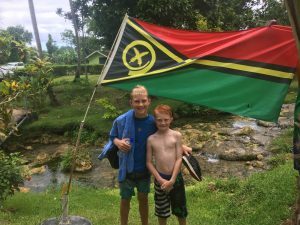 The truest happiness for both parents is when they see their children happy – especially out doors and enjoying the majestic island paradise that is Vanuatu. It has been said that the children of Vanuatu are the happiest children in the world. Is this because they are experiencing the ocean and it’s beauty? Or perhaps, simply revealing in being immersed in nature? Anyway you look at it, it’s the simple things in life that are often the best. As there is no real time difference when traveling from Australia to Vanuatu there is no dreaded jet lag to recover from. Vanuatu – literally on Australia’s doorstep, the travel time is very short and this makes it perfect for families travelling with young children – especially for the first time. There are few places so close to our shores that provide a culturally rich experience for children. This family friendly destination will provide a home away from home for you and your family. From the cultural dances where the children are encouraged to participate, to seeing the simplistic lifestyle of these beautiful Nivan people. 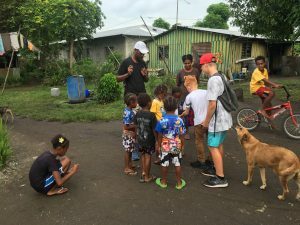 Children will leave Vanuatu with a greater understanding of how people from other parts of the world live, and hopefully, a greater appreciation of relationships and family. Vanuatu is incredibly safe. 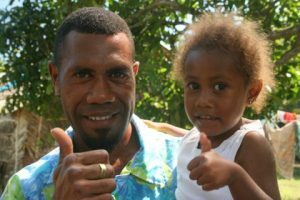 The people of Vanuatu will welcome you into their extended family and ensure that you and your children experience love and hospitality that would rival many other parts of the globe. There is no shortage of fun filled adventures and activities for children. Children can interact with nature and marvel at the beautiful reef and marine life. They can visit awe inspiring waterfalls and engage in a variety of water sports and cultural shows and experiences. 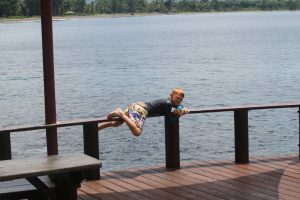 If you and your partner are seeking a truly relaxing holiday that will have a lasting impression on you and your children, then the Vanuatu vacation is the perfect vacation for you.